Wyammy Ranch fleeces have won Champion and Reserve Champion ribbons at the California National Wool Show, the Monterey Wool Festival, and many First, Champion and Supreme Champion awards at the Sonoma County Fair. Wyammy Ranch sheep were originally selected, and continue to be selected, for their ability to produce high quality fleeces. 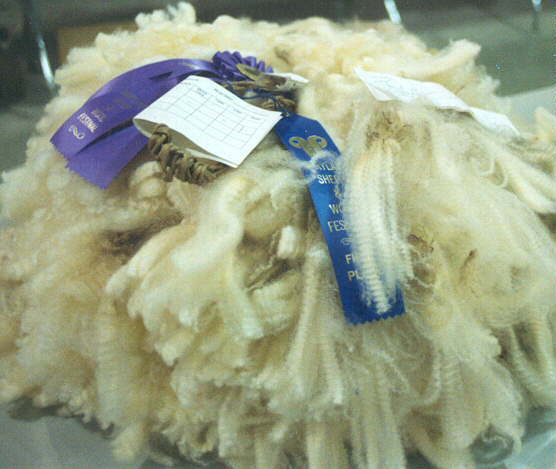 Romney fleeces are soft and silky, with excellent lustre and lock formation. Although Romney sheep are the basis of the flock, Targhee (that produces a fine, white wool) and Wenselydale (that produces a long, silky, mohair-like wool) and their crosses are also available providing a wide variety of fleece choices. Many fleeces are suitable for garments. Some are coarser and thus more appropriate for rugs, tapestry, and needlepoint yarns. Extra long (8"-9") colored Hoggetts for combing are the Ranch speciality. 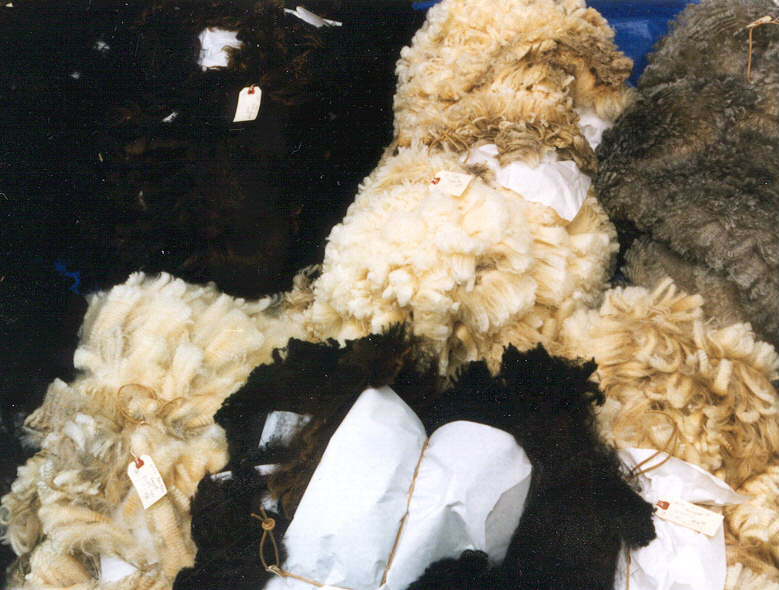 Fleeces are available in a variety of natural colors including white, creme, brown, gray and black. Yearly staple length at least 5"